Governments need to ensure that public officials perform their duties in a fair and unbiased way. The pressure comes from a society and a business community that are increasingly well-informed, and specifically from a general demand for unbiased and transparent public decision-making. 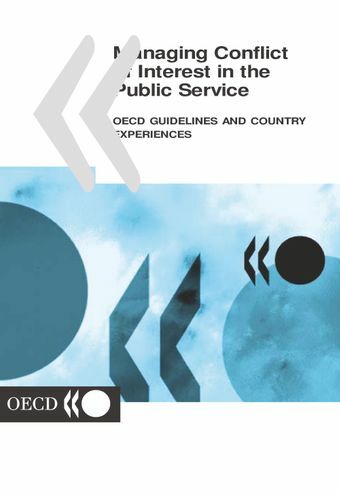 The OECD Guidelines for Managing Conflict of Interest in the Public Service provide the first international benchmark in this field. They help governments review and modernise their conflict-of-interest policies in the public sector. The report highlights trends, approaches and models across OECD countries in a comparative overview that also presents examples of innovative and recent solutions. Selected country case studies give more details on the implementation of policies in national contexts and on key elements of legal and institutional frameworks.